TDBD deals in LIFTING & SHIFTING of Houses and Commercial complexes. We have effective technology and sufficient manpower and accessories to lift and shift the complex. This technology provides economic solution against problems of uncontrolled urbanization. Today citizens are facing various problems like entering of sewage water during rains due to lowering down of levels of complexes I comparison of adjacent roads. Rainy water directly enters in to the house and shop and destroys the property and create great nuisance. Rebuilding involves great amount of money time and materials. This is not possible for everyone. More over people has emotional attachment with their buildings. TDBD gives complete solution for all such problems in time bound manner. TDBD stands for TEJO DEVI & BANARSI DAS are the names of the first letter which are abbreviated in the name of the company. 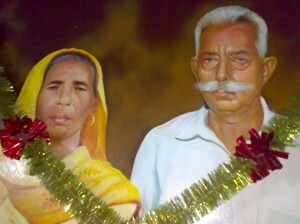 Bansarsi Das was born in year 1930 in village farakpur District Yamunanagar Haryana. He has very innovative mind in his childhood and faced many hard ships during his initial days. He could not adopt any permanent profession. His family was hand to mouth. His family was not in a position to afford single time meal at that time. He lost his father at the age of year 4. He was very much interested in continuing in his studies. He continued to join a school 5 kilometers away from his native village. He could achieve primary education up to the 6 standard only. He learned the Hindi, Urdu, English and Punjabi languages. He left the education in between and started labor work to support his family.